(Seychelles News Agency) - Owning a vehicle comes with a cost especially with fuel, which can be a substantial amount at the end of the year. What if you could save 2000 dollars a year on fuel and also help protect the environment? 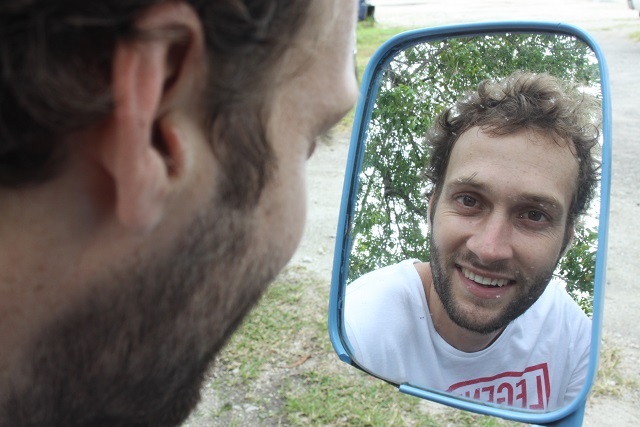 A 30-year-old Seychellois hydrogeologist, Johan Mendez Esteban, has found a way to do both. 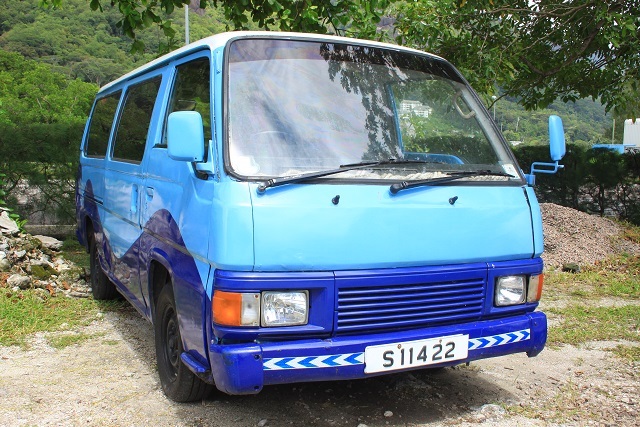 He is reducing his own carbon emission in the Seychelles islands by using biodiesel in his 1998 Nissan Urvan taking up to 12 persons. The van has a very powerful machine of 2700cc with a tank that takes up to 50 litres of diesel, which can be costly to run. 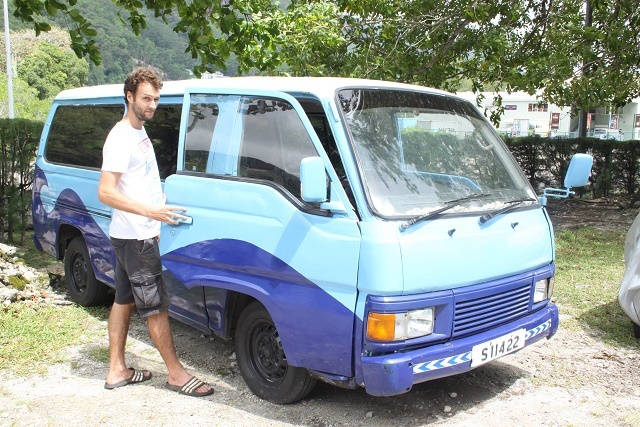 Johan, who lives at Bel Air, a central district of the main Seychelles island of Mahe, has been using recycled grease which he gets for free from restaurants, as biodiesel in his van for two years now. Biodiesel is a form of fuel made from vegetable oil, animal fat and grease from hotels and restaurants. It is known to be clean-burning and emits fewer pollutants compared to petroleum-based diesel. “I have always been interested in the environment, protecting it and doing my best to help conserve it. I was always reading about interesting ways to have a vehicle and not spend that much money on fuel but instead find alternatives to fossil fuels. I used to dream about cars for the future that run solely on recycled oil,” he told SNA in an interview. Johan was eager to see for himself if biodiesel really works, and he tried it out for the first time when he was studying in France a few years ago. He borrowed a very old car from one of his friends and got some grease from a nearby restaurant. It worked perfectly so when he returned to Seychelles he wanted to do the same thing. Johan first has to filter the grease before he puts it in his van and also add some diesel just to make the engine run more smoothly. “It is quite simple, anybody can do it, I learned how to do all of that on the internet,” he added. He says he has saved a lot of money from using biodiesel and cutting down on diesel fuel. Johan used to buy 10 litres of diesel every time he went to the station and at that time a litre of diesel in Seychelles cost about 20 Seychelles Rupees (about $1.53). He was spending 200 rupees ($15.3) each time. Now he only needs 2 litres of diesel every week depending on his daily transactions and that amount to 40 rupees ($3.07). Last year he saved about 30, 000 rupees ($2,307). “With the savings I managed to pay my car insurance, road tax, general maintenance and also give my van a new coat of paint. So yes, using biodiesel is financially beneficial...I think there are enough fast food outlets, restaurants and hotels in Seychelles that can provide grease to people who want to use biodiesel in their vehicles. I take only two gallons of the waste product per week from one or two restaurants, and they throw away about 19 gallons. I think more people should do their part to protect the environment and keep it eco-friendly for the generations to come,” said Johan. SNA has learnt of other individuals or companies that have ventured into using biodiesel although some have stopped after a while and others who have the desire to try out this method. The Seychelles islands in the western Indian Ocean, with a population of 90,000 people, are dependent on fossil fuels to generate electricity and for the use of transportation, even though wind power and limited solar power have been introduced. 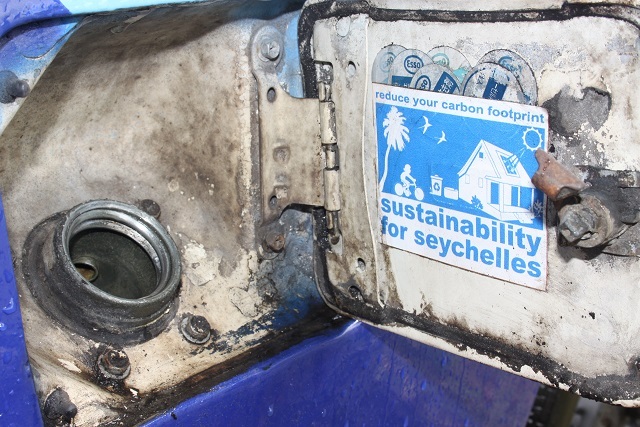 The introduction of biodiesel in Seychelles has been discussed by environmental authorities in the past, for the conversion of general waste into fuel. 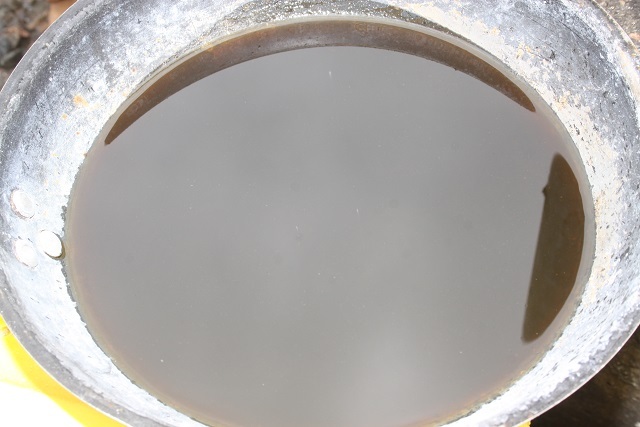 Concerning the use of cooking oil however, the Seychelles Energy Commission told SNA that a study needs to be done to see if it is financially viable before proceeding any further on a larger scale. The production and global use of biodiesel is considered by many environmentalists as the next step to reducing the world’s carbon emission by a considerable amount, especially in developed countries, as it only releases the carbon dioxide that the plants absorbed whilst growing, therefore there is no negative impact on the carbon cycle. More than 30 countries in the world are using biodiesel as an alternative to fossil fuel. For now the United States is the most prominent in producing and supplying biodiesel, followed by Brazil and China respectively. However, there has been rising criticism concerning the widescale production of biofuels, for example by the the Organisation for Economic Co-operation and Development (OECD), where food crops are being used for fuel and where the demand for land is causing forests to be cut down in order to grow the crops.